1. Decreases of the wind in the body cause rheumatic diseases. When windy planets Moon, Mercury, Venus and Saturn are weak, combust, afflicted, badly situated, conjoined with lord of trik bhava and are also in some way related with 6th house, lord of 6th house etc, they give rise to rheumatic diseases. 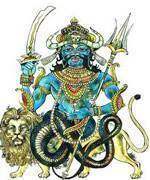 If lord of lagna be in Navamsa of Cancer, it causes the similar diseases. Saturn is karaka for Gouts. Kethu also rules over the windy diseases. ii. When Gemini sign, 3rd house, lord of 3rd house and above planets be afflicted, be situated in trik bhavas, be conjoined with lord of trik bhava or with malefic or be aspected by malefic and be in some way related with disease inflicting house or planet, they give rise to windy diseases. When any of the above karaka planets being afflicted and being malefic joins windy planet, their house, lord of third house, Gemini sign etc. 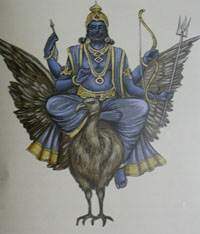 and also be associated with or afflicted by Saturn, Rahu or Kethu, they give rise to above diseases. iii. Afflicted Saturn and Moon are the main planets for this disease, while Mars, Jupiter, and Venus also, when ill placed, aids to produce this ailment.